Contship Italia Group, Italy’s leading maritime container terminal and intermodal operator, recorded a 1.3% overall decrease in handling volumes in 2017 compared to 2016, despite strong performances at its La Spezia, Salerno and Tangier operations. Whilst market demand for Contship’s Gateway terminals with access to Italy, south and central Europe continues to increase (+13.2%, +232,000 TEUs), transhipment activities resulted in a 6.8% decrease (-315,000 TEUs) year-on-year.At the same time, Tangier increased its total moves by 23% compared to 2016. Hannibal, Contship Group’s intermodal service provider for maritime and continental transport, reported growth of 11% in transported TEUs (+30,000 TEUs) achieving an increase in volumes for the second consecutive year. Contship’s Rail Hub Milano (RHM) was impacted by the major disruption to the railway at Rastatt, which lies between Basel and Karlsruhe last August. The two month closure of this crucial part of the Rhine Alpine corridor resulted in a standstill of rail freight between Western Europe and Italy and led to 181 less trains operating compared to 2016 (-3%). Cecilia Eckelmann-Battistello, Contship Italia Group President, said today: “2017 was a challenging year for the maritime industry, especially the reorganisation of liner alliances which has significantly changed the environment. More and more the focus has shifted from port performance to supply chain performance with Contship’s intermodal product Hannibal, being able to record increased transport volumes compared to the year before. La Spezia Container Terminal (LSCT), the gateway to southern and central Europe operated by Contship, continued to grow despite the container industry volatility in 2017. 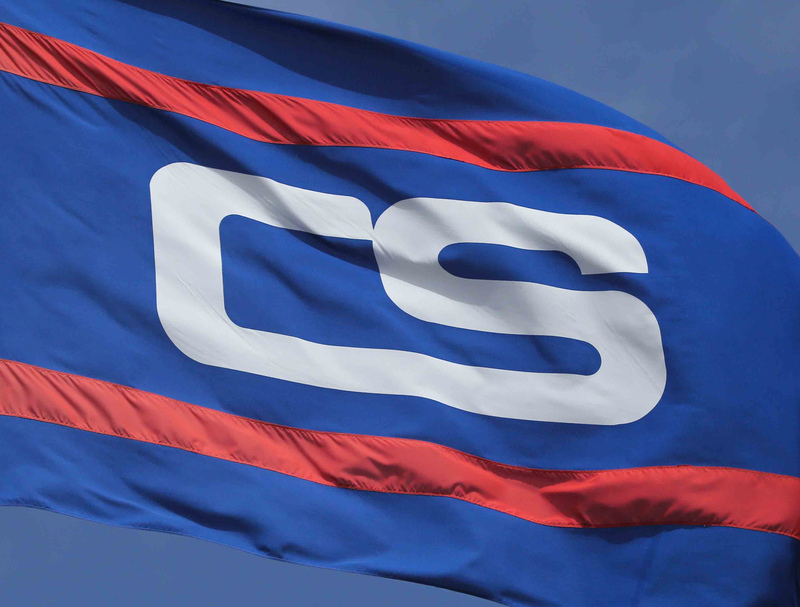 Contship believes LSCT will grow consistently to be the leading container terminal serving cargoes routing via the southern gateway. TEU throughput at the terminal grew 17.6% to 1.33m, up from 1.17m in 2016. LSCT offers cargo owners the benefit of improved risk management and competitive operating costs via the link with the group’s Hannibal Intermodal Services. In what was a highly successful year for Contship’s largest terminal operation, LSCT was also voted by cargo business leaders as Europe’s Best Container Terminal at Asian Freight, Logistics and Supply Chain Awards 2017. The group’s partly owned operation in Tangier was another highlight performer with a 23% year on year increase in throughput volumes. Records in container moves per hour as well as the handling of the largest containerships were achieved during the year. Medcenter Container Terminal (MCT), Contship’s premier hub port located at Gioia Tauro, welcomed another ultra-large containership again in 2017 after servicing the largest containership ever to call at an Italian port in 2016. Both vessels had a capacity of 20,000 teu. This again demonstrated the terminal’s ability to adapt to market demands and be consistent in providing reliable stevedoring services. Cagliari International Container Terminal (CICT), Contship’s Sardinian hub remains one of Contship’s most important hub-ports with a good track record in providing reliable, on-time and flexible services. Terminal Container Ravenna (TCR), the Adriatic gateway of Contship Italia Group completed a much anticipated expansion project in 2017. The Group has invested a significant amount in TCR on an equipment portfolio expansion since 2015. The expansion project was completed successfully in Q4 2017 with all the newly added cranes fully installed and operating. It has enabled TCR to manage bigger ships and greater volumes in a shorter time. With this, TCR is expected to expand the catchment area and serve more specialist products in 2018. Salerno Container Terminal (SCT) as the port serving the central and southern Italian markets, demonstrated consistent growth against 2016. The positive growth in overall volume once again proved Salerno’s ability to be consistent and efficient in serving its customers. Hannibal, Contship’s Multimodal Transport Operator, enjoyed positive growth in 2017 and this is expected to continue in 2018 with an expansion of network services to serve domestic and international freight transportation needs. Due to high demand, Hannibal increased its rail service frequency between Melzo and Rotterdam adding a seventh round-trip, to make a total of 14 trains every week. Rail Hub Milano (RHM), the one-stop shop solution for integrated road and rail transport services, opened a new maintenance facility for locomotives at the hub. This maintenance facility managed by Bombardier provides round the clock 24 hours’ service to ensure full support for operations and is available immediately when needed. RHM is the heart of Contship’s intermodal network located at the east of Milan in Melzo. Finally, Oceanogate Italia, Contship Italia Group’s rail traction company, completed its training facilities in 2017. This investment was part of the wider Oceanogate strategic framework to train new recruits and expert operators to increase the performance of the rail system and expand its service network.